A woman decides to leave her promising career to spend more time with her family. One can easily imagine the disdain of colleagues as they overwhelmingly see her decision as foolish: who would choose picking the kids up from school over a career? They describe it as a ‘lifestyle choice’ amidst their sneers. The happy hippie who has left the corporate world to spend his life surfing and enjoying nature. His colleagues, incredulous, but secretly jealous of his independence and free spirit, describe his choice as a new ‘way of life’. While technically describing a similar situation, the illocution, or intent of the speaker by using the phrase is different. I hope it’s clear that I’m not equating a surfing hippie with Aboriginal identity, but that example was useful up to a point. My knowledge of Aboriginal culture is embarrassingly poor. I’m happy to be corrected, but from what I understand, there is an almost indescribable link between Indigenous Australians and the land. For many, I can only assume, there is no choice to be made: leaving the land would be turning their backs on culture and history. Hardly an easy choice. So from my position of privilege and plenty, Tony Abbott’s words were quite poorly chosen. Closer to a ‘way of life’ than a ‘lifestyle choice’ in my book. 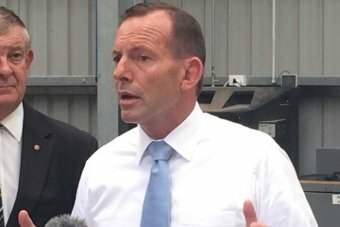 However poor, the language used by Tony Abbott should only be a side point, the important conversation is the policy he was suggesting. Taxpayer money is finite, and governments need to be responsible in the way they spend it. Most of us would agree with this, yet we stop important conversations by getting distracted. What should have been a policy discussion has turned in to another crusade to score easy points against Tony Abbot and the LNP. Apparently he chose his words without thinking through the implications. Point made. Move on (the words, not the policy necessarily). The policy that the PM was suggesting, on the other hand, may or may not be in Australia’s best interest. I don’t know, and I’m not sure anyone has stopped long enough to think about it amidst the hysteria. It’s time to consider where money should be best spent. But wasting time by attacking the man isn’t doing this country much good. Cheap. We can do better. This entry was posted in Politics, Middle East, & Islam and tagged 'lifestyle choices', Australia, Indigenous Australians, LNP, Tony Abbott by Pete. Bookmark the permalink.